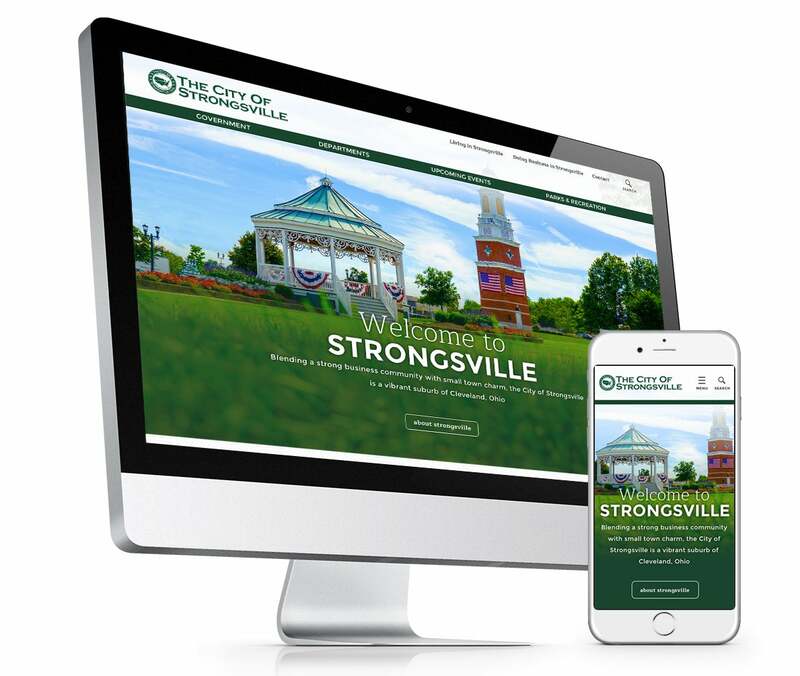 We have long supported the City of Strongsville’s digital experience. This vibrant suburb of Cleveland has seen tremendous growth due to strong leadership, community engagement and economic development strategy. With this growth, the demand for better communication vehicles and reliable performance became increasingly harder to satisfy. Through the thunder::gov solution. Strongsville has enabled a responsive and mobile experience that can easily be maintained by existing staff and personnel. All of the major service interests, departments and authorities are represented and open courtesy of a strategic information architecture and clean UX.